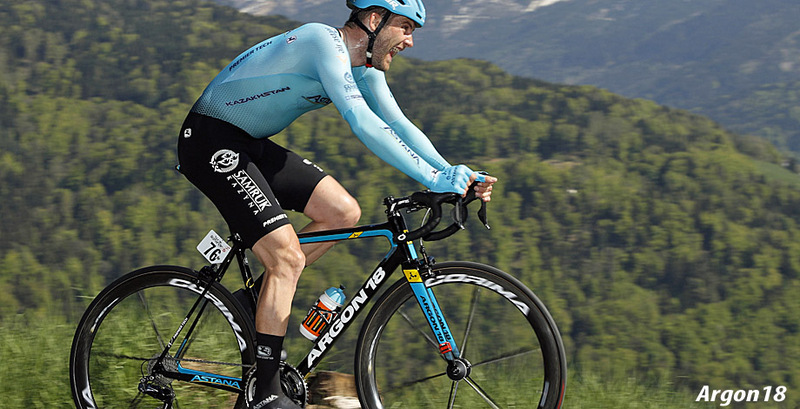 Rider Interview: Canadian rider Hugo Houle moved from the French AG2R-La Mondiale team to Astana for the 2018 season and we caught up with him to hear his hopes back then. So, it was only right that we got the follow up after his year with the Kazakhs at the Astana team presentation. You can read our interview with Hugo last year HERE. PEZ: It's been a year since we spoke, so how was 2018 for you? Hugo Houle: It was pretty good year for me, a result in general and also the adaptation with the team went pretty well. So I only have positive things to say about the last year and the team. I'm really happy everything went smoothly. 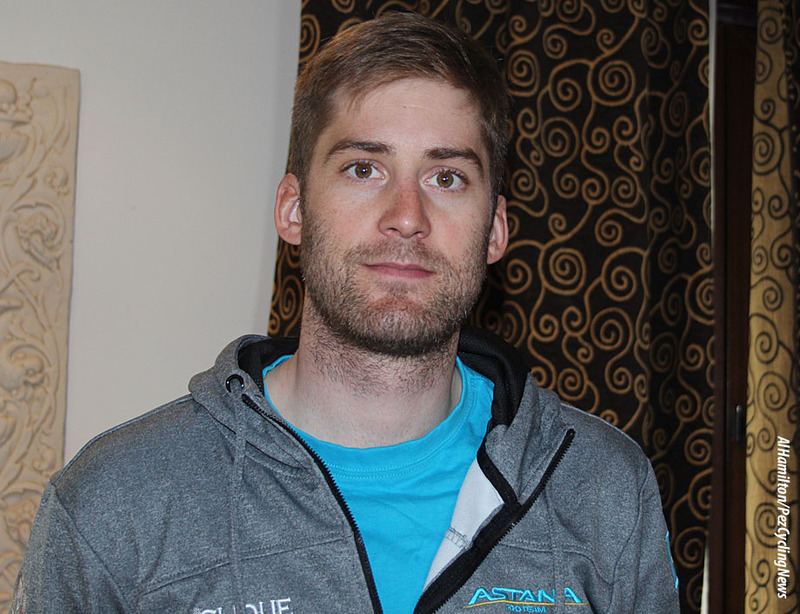 PEZ: Was there a big difference from the previous year in AG2R-La Mondiale? You know, at the end of the day it's quite the same structure, it is a WorldTour team also. But the mentality changed a little bit with the culture of the team, a different mentality. So it was nice to see a little bit more and it was good was a good fit for me into this team. I'm happy. PEZ: What was the high point of the season for you? I would say it was the end of the season where I got most of my results on the smaller races like the Tour of Denmark, the Tour of Norway, Tour Poitou-Charentes and Ouest-France, that was where I was going pretty good. So that was a good strike. Montreal and Quebec was a nice to race at home with the team. We had a good moment there (Michael Valgren was 8th and 9th). PEZ: What about next year, what you're looking forward to the most? Well, it's going to be pretty similar to this year. We start here in Spain, and then Oman, most of the Belgian races, yeah, I will put a good focus on that. And then after a little rest, California, Suisse and then the Tour. The Tour; obviously we'll see if I can get in, but it's in the plan and the big, big goal of the year to get into the team and you know I just need to keep working hard and everything should be good. 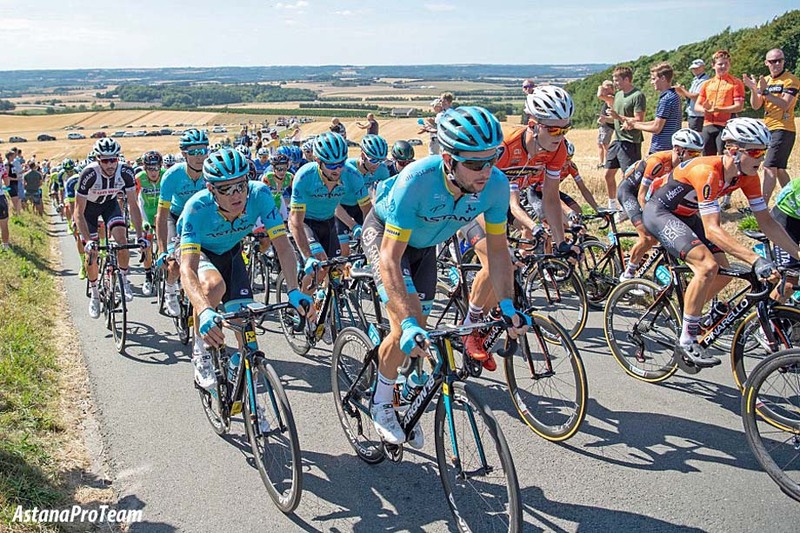 PEZ: You didn't ride a Grand Tour in 2018? No, no, no. I was the last one cut from the Tour team this year, so try to be in next year. PEZ: Physically did you miss not riding a Tour? Many riders say their bodies change after a three week race. I don't know, it's hard to say because I had some good result in the second part of the season without a Grand Tour. I know from the past that when I've done a Grand Tour it has increased the fitness. I feel that I have progressed also this year physically by not doing a Grand Tour but for sure next year I want to one whatever happens. But I think it's hard to say if it changes something or not. I've done three Grand Tours in the past, OK this year I didn't do one, but I'm sure if you do seven or something... something would change. PEZ: And your time trialling, has that changed from previous years? This year we have a new bike which is very kind of really fast. So looking forward to have this bike. 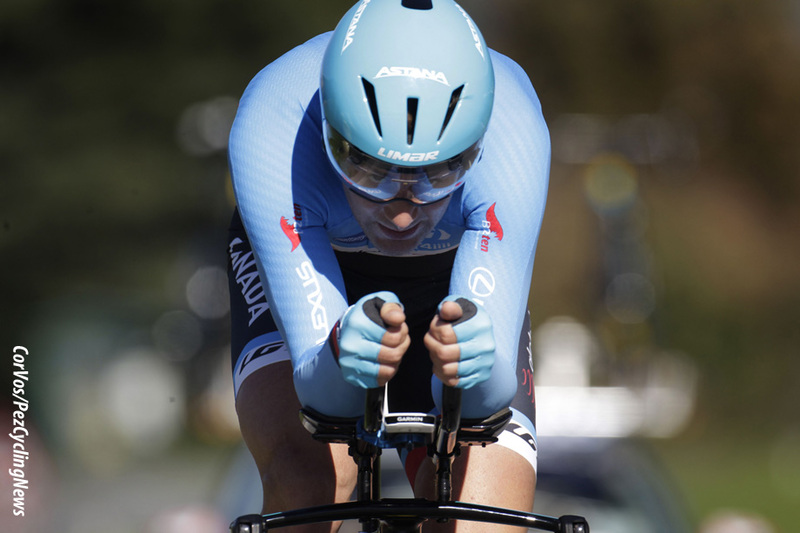 I'll try to put more of my focus on the TT this year because it's a pre Olympic year. So then if I want to do the Olympic then I need to be good this year to get some points and show that I'm still strong and I deserve to go. That will be one of the big points when we received the new bike and I can work on it, but I already had the chance to ride the prototype and it was really good on the numbers and we saved a lot, so looking forward to seeing the results. Of course I'm motivated to put more focus on the time trial this year. 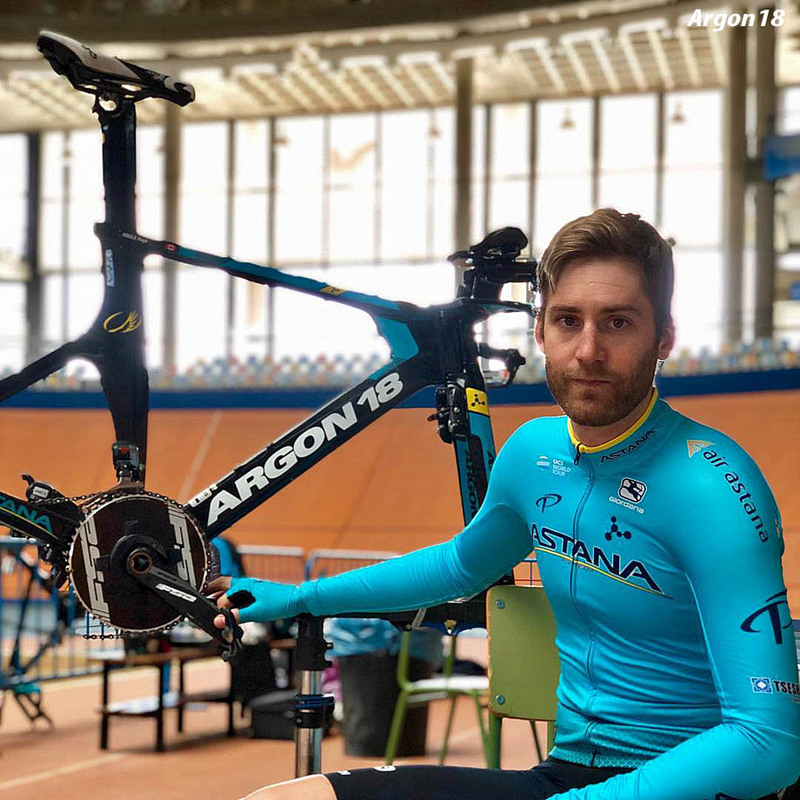 PEZ: Do you have a lot of input and discussions with Argon 18 (the Astana team bike providers)? Yeah of course we speak a lot. I have a good relationship with everyone there, so I pass round quite a lot when I'm in Quebec and we can discuss the different products and the different ideas that I think are good. Yeah, after I tried the bike now they're all working hard to make the product better year after year. You always need to improve and find something because the market never slows down, so it's important to keep, keep, keep, keep getting better. They are doing a great job, everybody's happy. PEZ: Talking about the Americas; things don't look too good with sponsors in the United States for next year, a few lost teams. Yeah it's true, it's not an easy time and also with the races. You know it's a big thing that works together, no racing - no team, so now it's not good. Obviously there's not many teams around, the only good thing is Rally and UnitedHealthcare merge together, they kind of have one big team there. But still out of Tour of California you have less, less and less races these years. I think this year no Colorado for the men, so that's not good. But it is what it is and I hope that it changes direction again and starts to go up. PEZ: You see it in Europe; BMC and Sky are big sponsors and they have/will disappear, so it happens all the time, every year. In Quebec in Canada we have good momentum, it was never crazy cycling at home, but now it's a good thing. 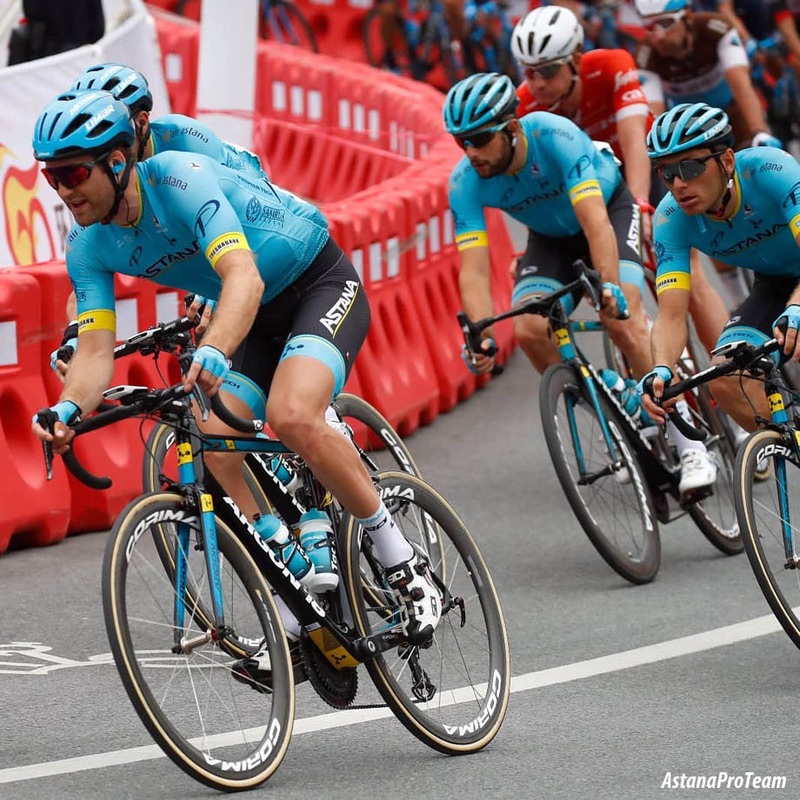 In Astana we have Premier Tech and Argon that are North American sponsors, they play quite a big part and I think they want to continue in the sport and that it's good for us and try to see how we can develop some more program for the good and how they can help to grow cycling in Canada. 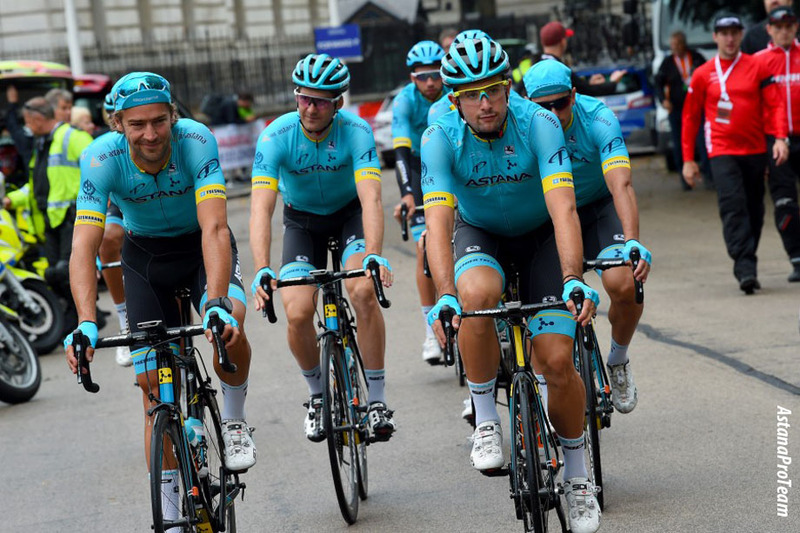 So two great partners with us and I think we try to keep the partnership with Astana Pro Team. PEZ: Have you been back to Canada since the end of the season? Yes, I was there from China to here in Spain, that's a month and a half that was good to be home, relax a bit and enjoy. We had quite a lot of snow early in the year which made it a little bit harder to train, but it's always nice to be home and I always enjoy when I can go back. PEZ: Europe for Christmas and after? I stay to have a nice Christmas with Antoine Duchesne, my friend here in Europe, and after my girlfriend is coming over just after Christmas so we have one month together between training camps, before it really start full gas until Paris-Roubaix. PEZ: So you're not going to Australia? No, I keep it Valencia, Oman. I don't like too much warm weather, so I prefer to be here - good training camp with the boys again. It worked last year, so I keep fighting the same. My first race is Valencia, then Oman and all of the Belgian Classics, simple as usual. Then after Roubaix a rest before the Tour, then California with a training camp in between California and Suisse, so quite a good program that's well balanced, I cannot ask for better... it's a perfect program. 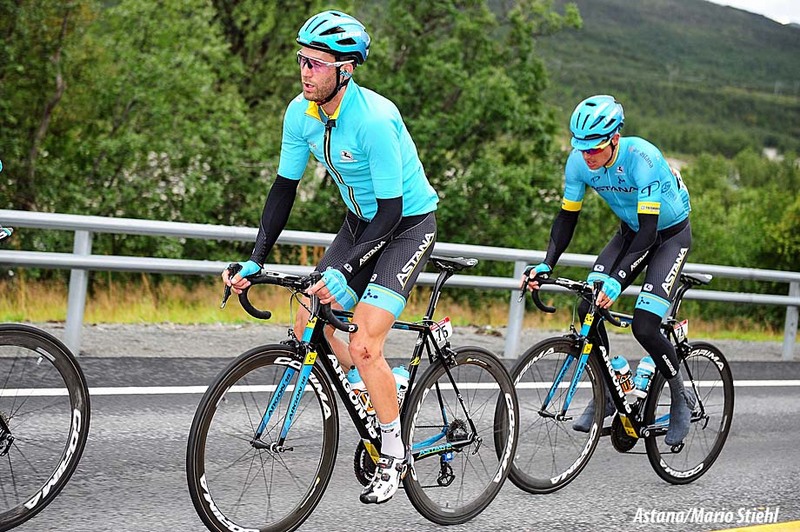 PEZ: Will the training camp be at altitude? Yes, we go with the team to Teide (Tenerife). PEZ: Have you trained at altitude before? Yeah, but you have to be careful to not do too much, but for me it works for sure. PEZ: I probably asked you this last year, but what about your future? For sure I have a few more cycling years left, I think, I hope. My contract finishes this year, but I'm really happy with the team and they are also happy so I think we should be able to find a good agreement to keep the momentum going and I'm looking forward. It's a good place to be, so yeah, for the near future I would like to stay with Astana for sure. This year Yeah, but it's not easy as you say, that the teams are closing, but it's part of the game and as long as it works for me I will keep going. 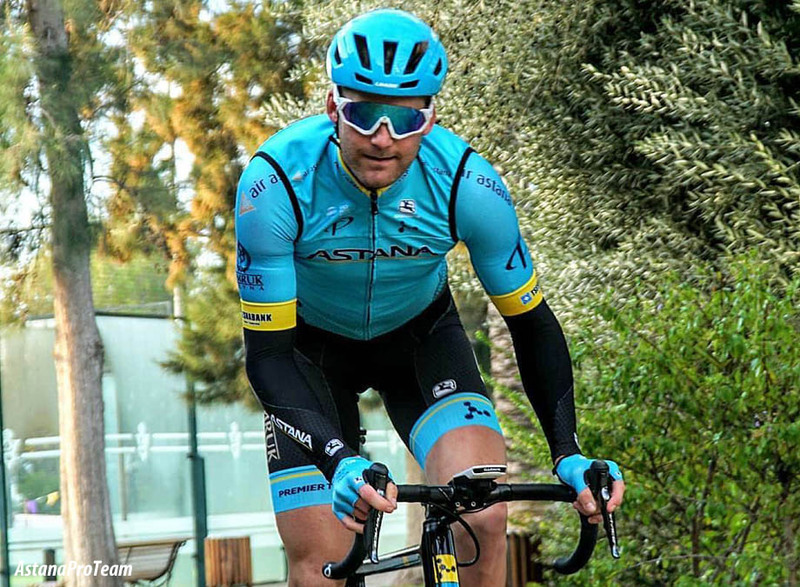 But in the near future I want to stay with Astana and to keep going and keep progressing year after year. I'm coming to my best years, 28, so I'll work hard to make sure it is. Then after that we'll see what's important, but I still could be a cop (policeman), but I don't know if I will be and then see how it goes. I don't really have a clear vision because if you asked me 10 years ago if I would be here, I don't think I would ever say that. But I would say I have some interest in marketing and to stay in cycling and then maybe I could help the knowledge I have as a pro in Europe with a brand like Argon 18 or Louis Garneau from Quebec that I know well, if I want to stay inside cycling. If not, then I could always be police officer. But yeah, we'll see. I don't exactly know. I also like the real estate, so I could find a good balance in between two to three things I can manage and all will be good. People always need houses or rent apartments, everyone need somewhere to live.